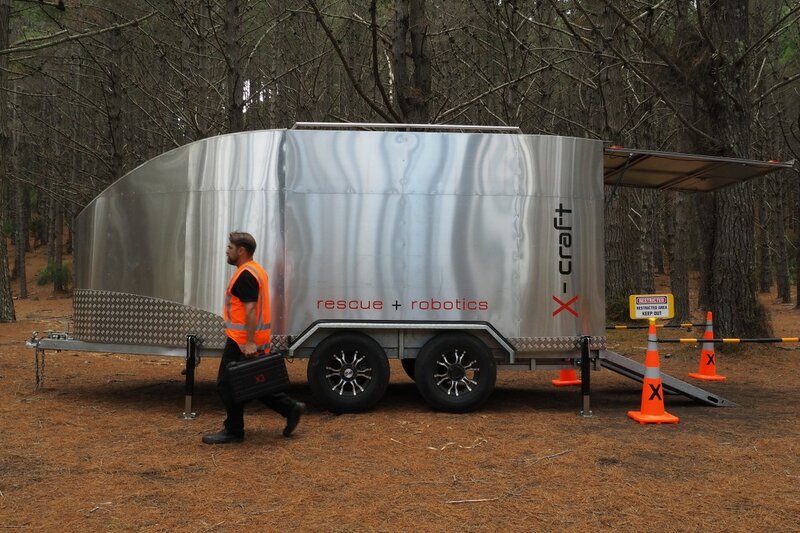 Emergency events can be dramatically different, each is unique in it's own way, but in order to help clarify how the Rescue Robotic system works we have outlined two major types of emergency response scenarios below. There are three main elements in a standard Rescue Robotics configuration. 3/ A communication link system which is infrastructure independant. 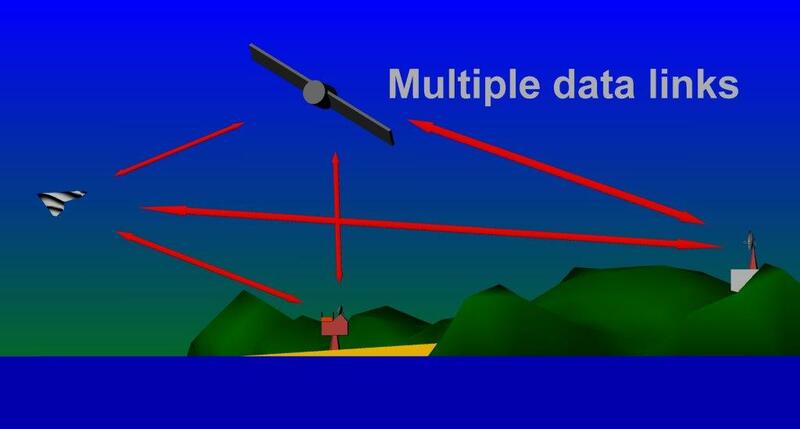 It can utilise existing satellite assets or UAS deployed as a Wireless Network relay platform. ​Maritime Search & Rescue, Land Search & Rescue, Surf Life Saving, Rural Fire. In action, an emergency alert goes to the Central Command & Control Centre and the decision as to what Micro-Hangar to activate is taken. 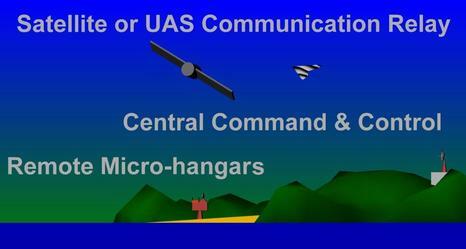 Following Micro-Hangar selection, Central Command & Control Centre determines what mission the UAS are to undertake, selecting from a menu of predefined activities and committing the UAS to carry out that task. The aircraft (currently up to six per micro-hangar) are autonomously launched from the Micro-Hangar. 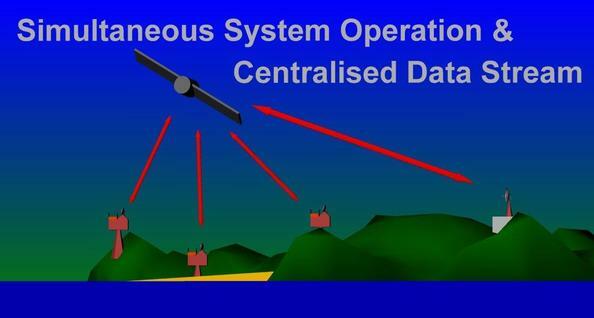 Following launch the UAS relays data back to the Command & Control Centre in near real time. Updates or alterations to the mission can be selected by the Systems Manager (pilot) located in the Command & Control Centre and the UAS is re-tasked if necessary. 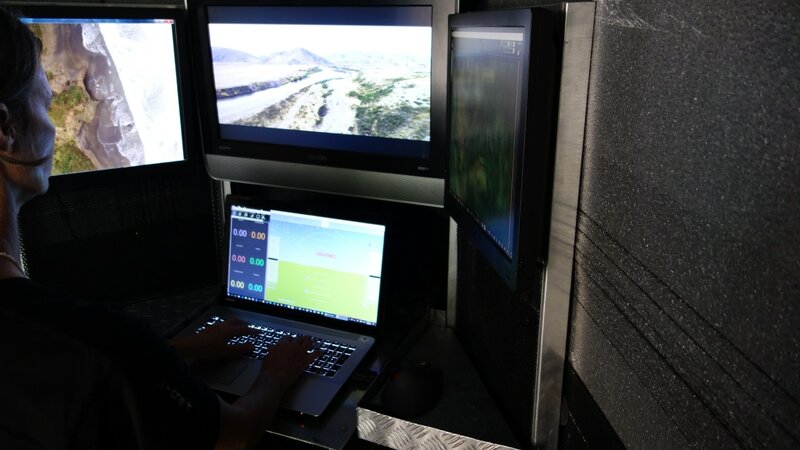 One Command & Control Centre can operate either individual or multiple UAS from the same Micro-Hangar simultaneously, broadening and coordinating a wide area of operations. 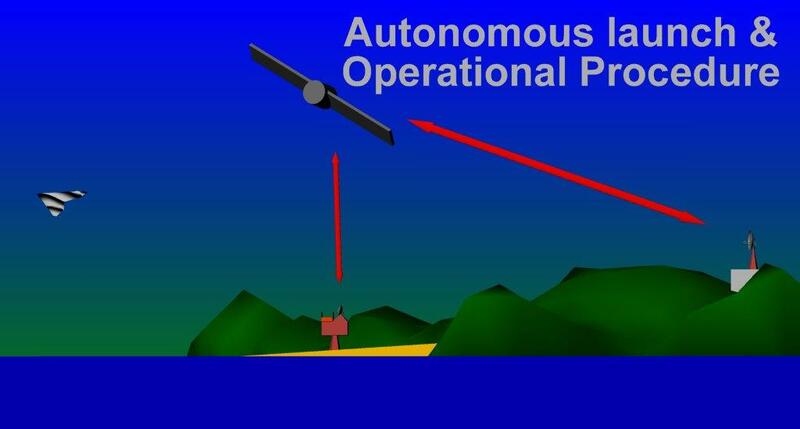 Individual UAS can be given various tasks such as dedicating specific aircraft to the role of communication relay, whilst others may be allocated search only or payload delivery missions. 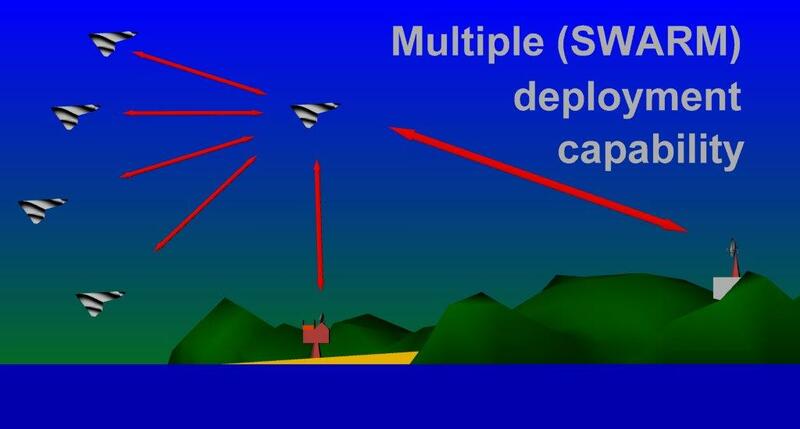 Utilising SWARM methodology the UAS can also carry out a high level of self organisation between the active UAS, lowering the level of direct control required and increasing efficiency in the execution of the tasks. 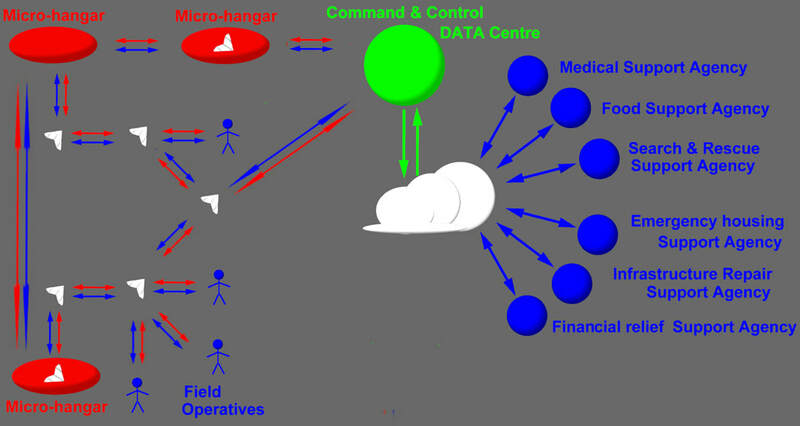 One Command & Control Centre can operate either individual or multiple remote Micro-Hangars simultaneously, vastly increasing the number of aircraft available, broadening and coordinating a wide area of operations. ​The Command & Control Centre is also the Information Hub. This provides a range of past and existing data, including GIS, which offers emergency responders a data rich context against which to make decisions. 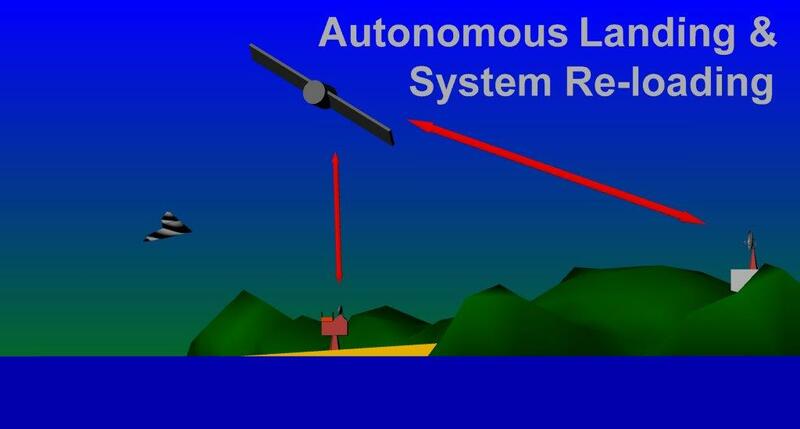 The UAS system, being largely autonomous, once activated and given basic mission commands, is able to launch, land and search without direct intervention from the Systems Manager (pilot) or other Command & Control personnel. ​Upon mission completion the aircraft return to the Micro-Hangars, self land and are reloaded by the robotic system inside the micro-hangar ready for a new deployment. Tropical Cyclone, Earthquake, Tsunami, Volcanic Eruption, Epidemics, Rural Fire. The system ensures that all support activities are coordinated through a central Command & Control Centre. As well as direct control capability over the Micro-Hangars and UAS, the Command & Control Centre is the Information Hub through which all data is received, collated and disseminated. 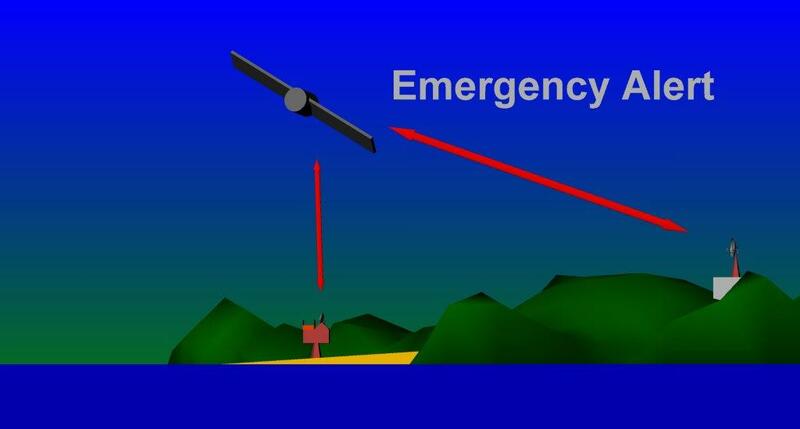 Following a disaster event, should satellite communications be unavailable or not prefered, an infrastructure independent communication system will be established. The UAS will deployed as an airborne communication link providing, where necessary, a chain of data and voice communication relay stations. This ensures that the Command & Control Centre and all Support Agencies can achieve a robust near-real time information sharing capability without external requirements. 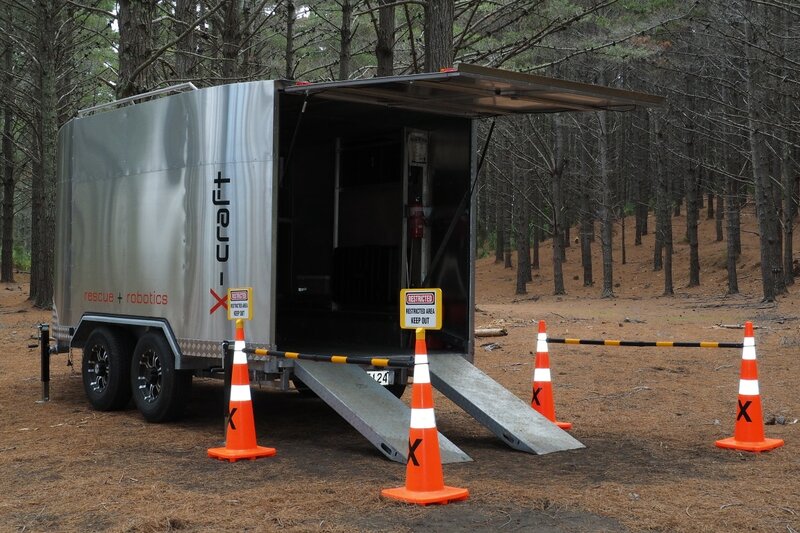 Following an initial situational survey by the UAS launched from the remote Micro-Hangars a decision can be made as to were the initial field operatives should be sent. This decision can be supported by additional UAS flights with specific mission objectives to broaden the understanding of the situation on the ground before field operatives are committed. Initial Support Agency personnel deployments can be guided to those areas determined most in need. The field operatives, determining the situation on the ground, can then call up additional precision UAS surveys of specific targets. All personnel connected to the wireless network, including field operatives, Command & Control and Support Agencies have near-real time connection to the same data. This means that all involved are on the same page, The field operatives have awareness of what all the other field operatives situation is and are in a position to judge the level of requirements relative to the "big picture" of the situation.​ This enables resources to be deployed in a rapid and coordinated method, achieving site specific targets from only those Support Agencies relevant to the specific needs and to a well considered list of priorities. In this way, considerable tactical and logistical efficiencies will be achieved. Information Network System with fixed or mobile Micro-Hangars.